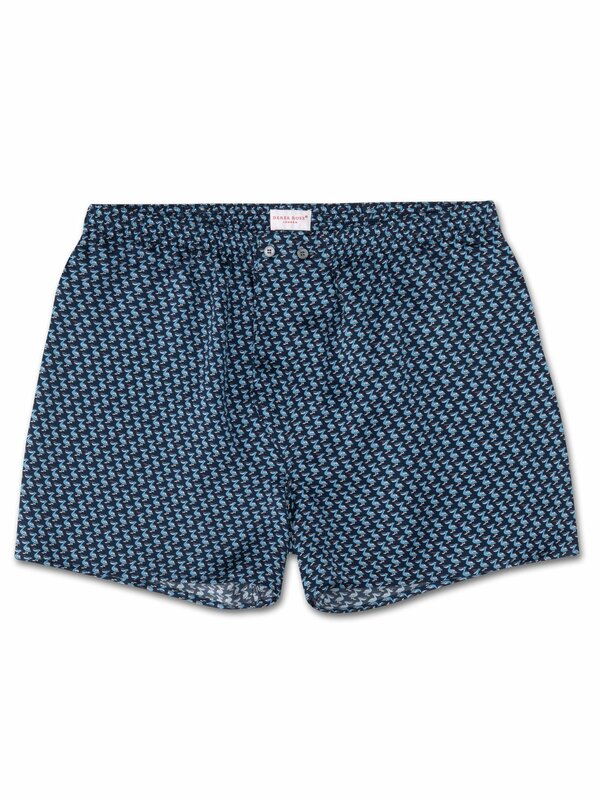 If you value comfort above all then our indulgent pure silk men's Brindisi 32 navy boxer shorts in our relaxed 'classic' fit are for you. This novelty geometric print in light blue and white is based on the pelicans at Pismo Beach in California. A few lucky pelicans have caught a fish.